Wow! 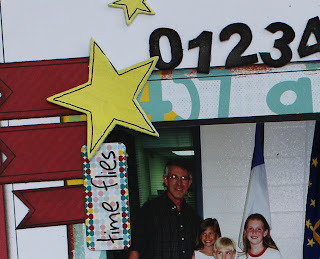 It is hard to believe that it is August already and that the kids will be headed back to school soon! 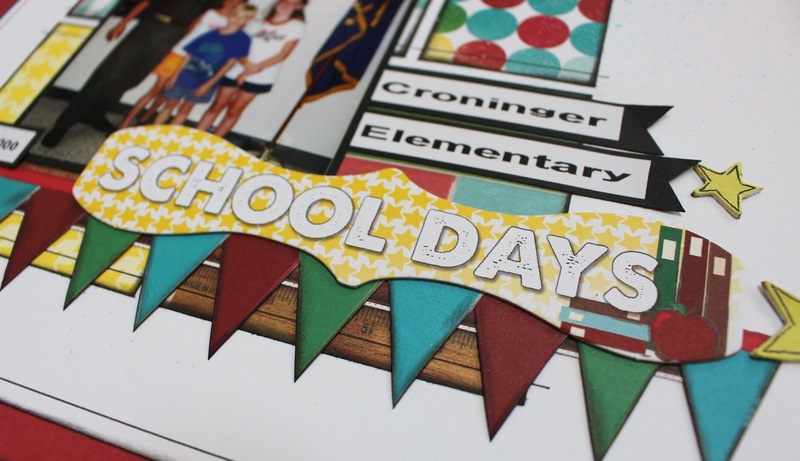 As disappointed as I am that summer is coming to an end, I am looking forward to having a little more time to work on my scrapbooking! Lucky for me, Quick Quotes has just released this fabulous school line of papers!! I love this line because it works well for all ages! 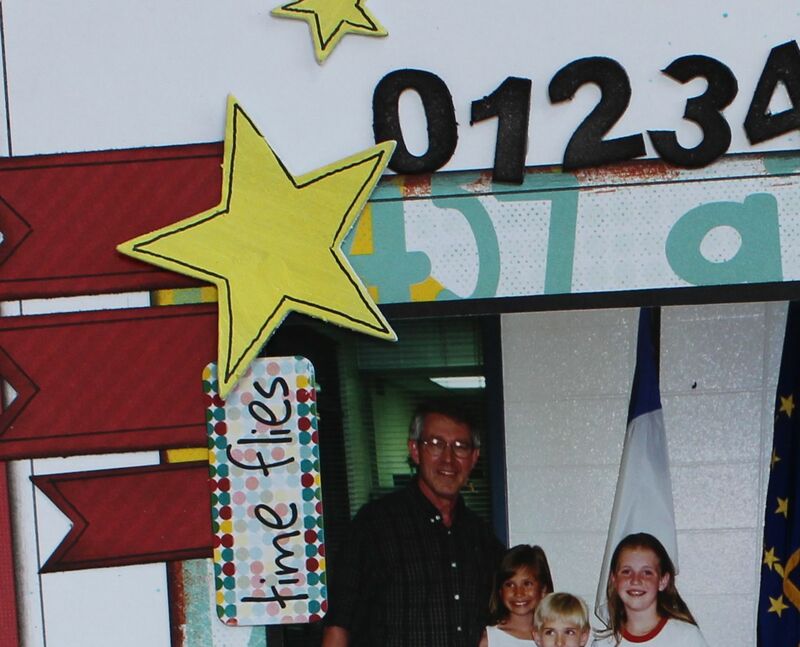 This photo is of my 3 children with their favorite principal, Mr. Steiner! I used PowderPuff Chalking Ink in Midnight Confessions around the edges of all of my papers. The Back2School Chipboard Stickers that are part of this collection are the perfect embellishment for my layout!! The triangle banner was cut from one of the patterned papers! I took chipboard stars, painted them white and then covered them with PowderPuff Chalking Ink in Lemonade. I finished them off by outlining them with a black pen. I used Midnight Confessions PowderPuff Chalking Ink to color the chipboard numbers across the top of the photo. The sticker is from the Back2School Die-Cut Sticker Pack. It is the perfect sentiment for this layout! If you would like to see the entire school line, be sure to watch this video! Thank you so much for stopping on over to the blog today and spending a little time with us today! Awesome layout Barb!! I love the outlining you are doing. 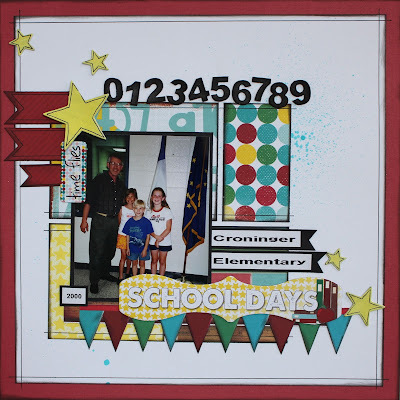 Love your school scrapbook page! The combination of pattern papers is awesome.